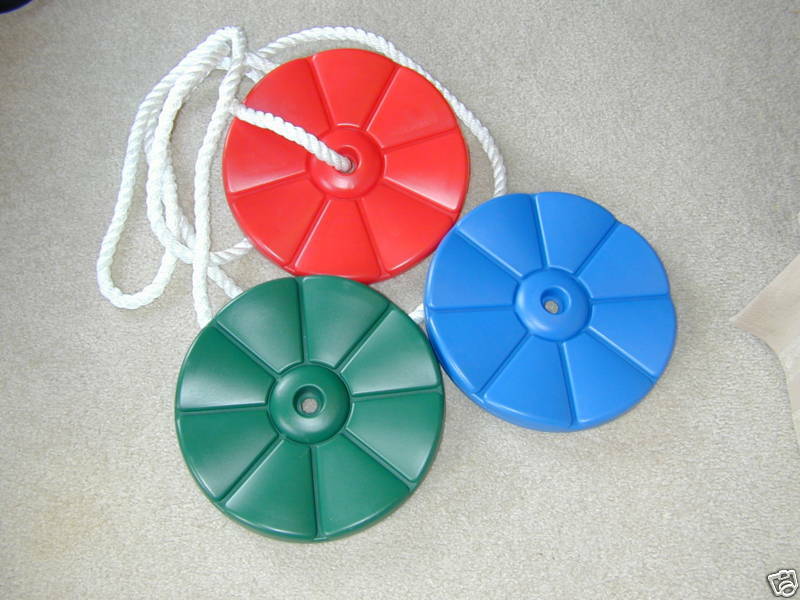 Standing up or sitting down this Roped Plastic Disc Swing is great fun for twisting and swinging in all directions. Quality durable 3/4" white rope suspends the swing and connects to your swingset beam or tree branch. Approximately 14' rope holds disc seat by tying a simple knot. 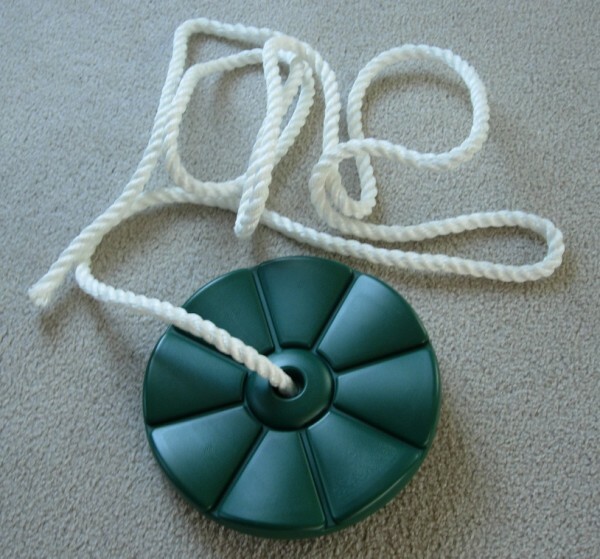 Knot top of rope to existing swing hanger, swivel or heavy eye bolt. Available in Green, Blue or Red.